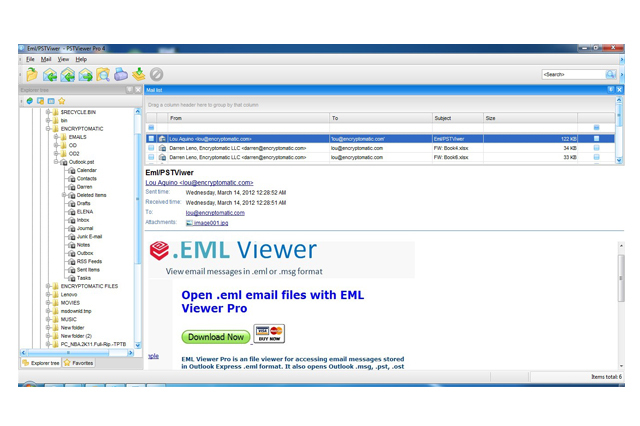 .MSG Viewer Pro Outlook e-mail viewer. Open .msg files. Msg Viewer Pro is the advanced viewer for managing your Microsoft Outlook .msg files. Whether you have a directory with one or thousands of .msg files, Msg Viewer Pro lets you view, search and export those files. It's a great tool to have in your software toolbox because it's so versatile. 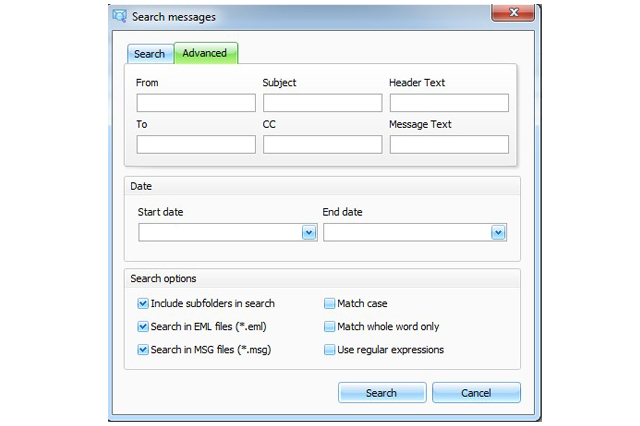 With Msg Viewer Pro, you can open Outlook .msg files, extract file attachments, search the message, select copy messages, browse them in an Outlook-like interface, and export to various formats. Msg Viewer Pro may be installed as the Windows default application for .msg files so you can open .msg files just by clicking on them. Double click on an email in the maillist and it will open in a full screen, separate window. Have as many windows open as you wish. Msg Viewer Pro includes command line switches for administrators who want to silently install the software, or who desire to adjust the user interface. It's easy to access file attachments embedded within .msg files. Just click on the attachment and it will open it it's native application, or extract the file to a folder. Extracting an attachment and saving it outside of the email is a simple "drag and drop" operation. If you need to extract attachments from thousands of emails, use the "Only Attachments" export profile, and Msg Viewer Pro will only remove email attachments from the selected .msg files, copying them to a Windows folder you specify. The "Message" window shows you the email message, rendering full HTML or RTF detail. Msg Viewer Pro provides access to the internet header information. Please contact our sales department if you have a special request or licensing need. Call us at +1-651-815-4902 x1.